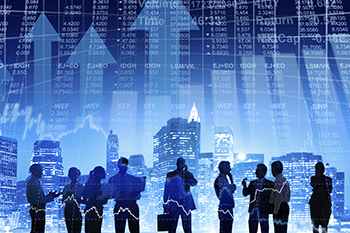 Insider trade is an important parameter tracked to gauge a stock’s performance. It becomes a critical factor especially when the promoters of the company indulge in either buying or selling the stock in the market. On tracking this factor, two stocks managed to stand out in our analysis wherein the promoters have been acquiring shares on a regular basis since last two months. Interestingly, the promoters began the process when these stocks price underperformed the benchmark index and its peers. The two stocks in discussion here are Apollo Tyres and Lupin. Lupin Ltd.’s promoters have been on a spending spree since last 1 plus month. The company commenced the buying on November 13, which was three days after it was issued a warning letter from USFDA for its two units. As per the company’s disclosures on BSE, the promoters have purchased total Rs86cr on 10.45 lakh shares at a weighted average price of Rs826.42, from November 13 to December 14. Following this, as on December 14, the total promoter shareholding of 21.1 crore shares (46.80%) worth Rs18kcr. 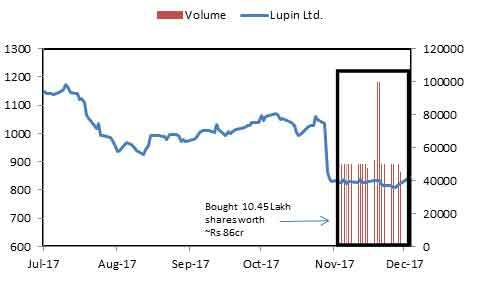 In November 2015, Lupin was worth Rs91,000cr whereas currently it stands at ~Rs 38,300 crore, down 42%. Tracking the fundamentals’, the stock is trading at cheap valuations on major parameters like price/book value and price/earning ratio in comparison with its peers, which could be the reason why promoters have started buying this stock. 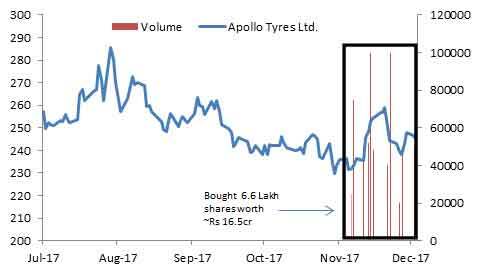 Apollo tyres Ltd.’s promoters have been on a spending spree since last1 month. The buying started on November 15, after two weeks of the company declaring its Q2 financial results. As per the company’s disclosures on BSE, from November 15 to December 14, promoters have purchased total Rs16.5cr on 6.6 lakh shares at a weighted average price of ~Rs244. Following this, as on December 14, the total promoter shareholding of 22.47 crore shares (44.15%) worth Rs5.4kcr. In August 2017, Apollo Tyre was worth Rs16,500cr whereas currently it stands at ~Rs14,200cr, down 14%.